Autumn and winter are the seasons that make you want to wear warm and cute hats. The soft and fluffy shape of a beret has the ability to soothe us and so when a girl puts it on, the hat helps to emphasize her cuteness. Also, since a beret is often associated with painters and artists, it instantly adds a stylish touch to the wearer's entire look! 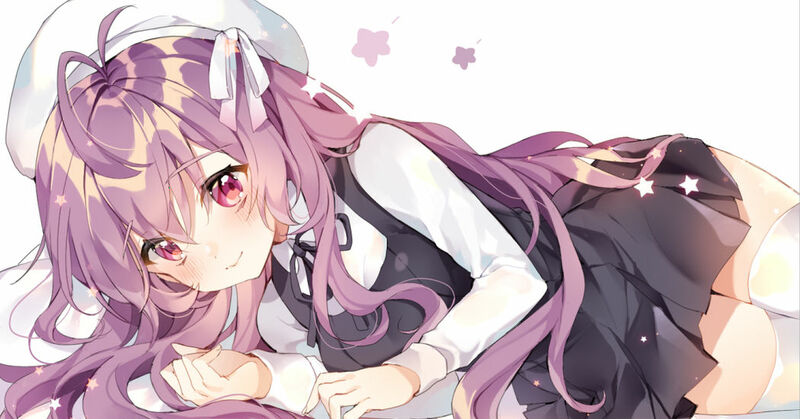 This time we're featuring illustrations of girls with cute and fancy berets. Enjoy! Happy Birthday XinHua / 心華生日快樂!